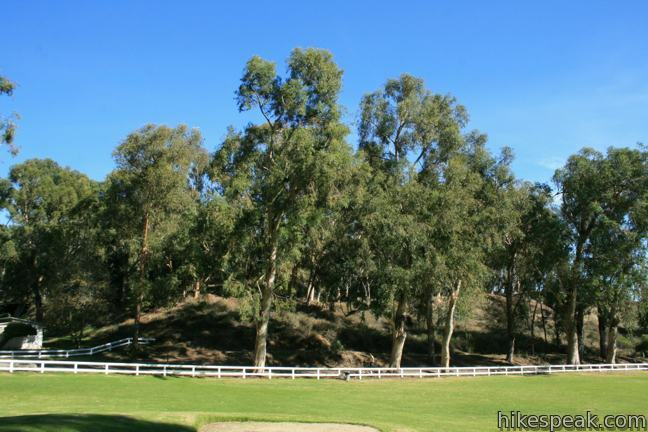 In addition to a rare polo field, renown ranch house, and a lawn that begs to be picnicked on, Will Rogers State Historic Park has plenty to offer to hikers. 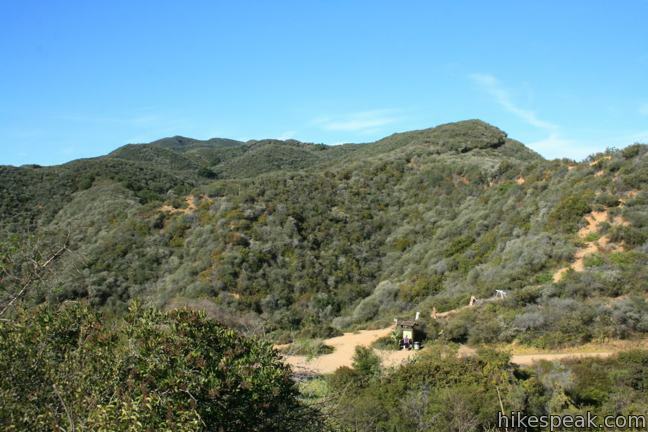 This is the eastern end of the 65-mile long Backbone Trail, which crosses the Santa Monica Mountains all the way to Point Mugu, and Will Rogers SHP is also home to a delightful short hike to a popular overlook. The loop to Inspiration Point is 2.25 miles long with 325 feet of elevation gain. 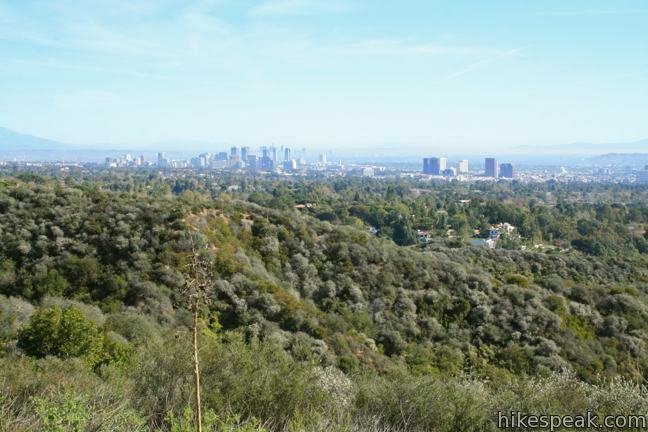 The gradual hike delivers far reaching views from Santa Monica Bay to downtown LA. From the parking lot just beyond the park gate (where a $12 entrance fee is charged), find the trail heading up the mountainside to the left of the fenced-in tennis courts, located west of the ranch house and ranger office. After a quick tenth of a mile up a switching single track, you will reach a wide dirt service road, Inspiration Point Loop Trail. 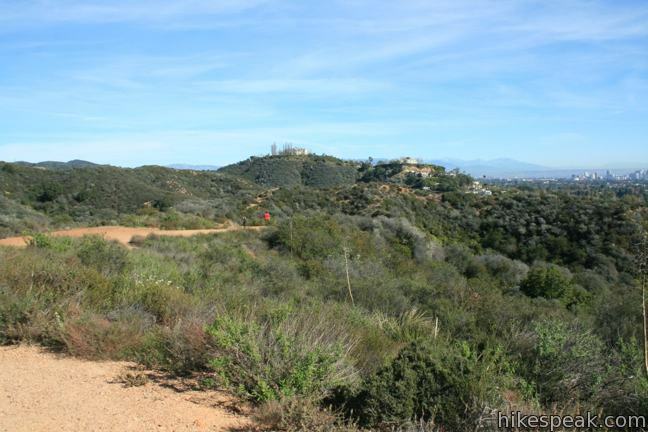 Across the way, the single track continues up the mountainside, while the road heads gradually to the west, taking in views over Santa Monica Bay. Inspiration Point Loop Trail meets back up with the single track after 0.4 miles, and those pressed for time can cut that distance in half by taking the narrower steeper trail. Turn left, wrapping around a draw in the mountainside on Inspiration Point Loop Trail. 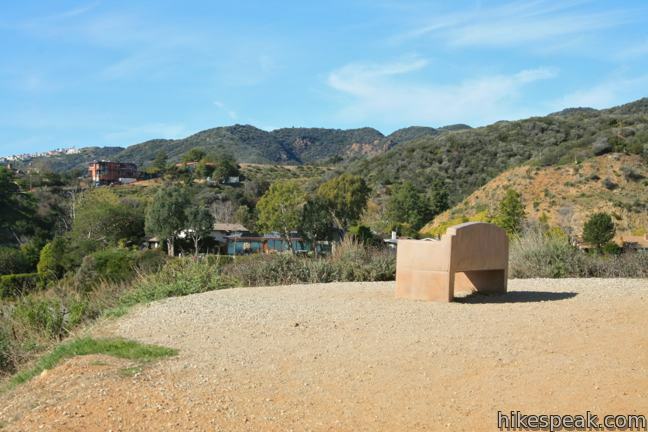 There are two benches along the road, placed at optimum viewing spots. 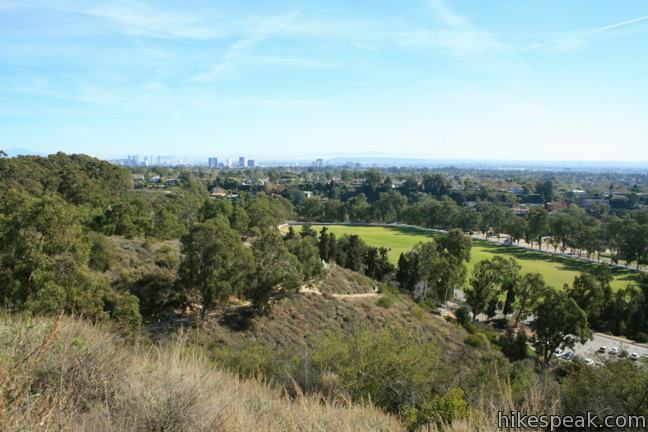 The first looks south over the polo field and Santa Monica. The second sits at the western end of the loop to offer a closer view of the Pacific. 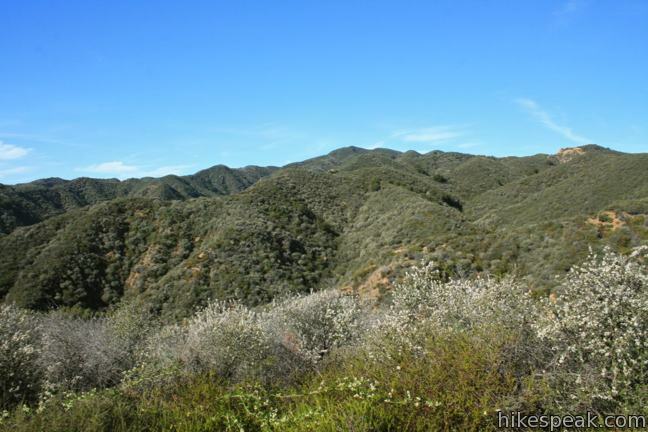 Peer over a split in Rivas Canyon before following a bend in the trail to the northeast. Past the top of the aforementioned single track, you will come to another junction with a trail breaking off to the right. There are arrows for Inspiration Point in both directions! It is another quarter mile up Inspiration Point Loop Trail to the overlook, or you can turn down this single track, which crosses a chaparral-covered depression to reach the point after 0.4 miles. Both routes lead to inspiration. Following the road, you get more nice views of the higher mountains to the north before coming to a split. Veer right up a spur trail that wraps around a short rise to reach Inspiration Point at an elevation of 750 feet. 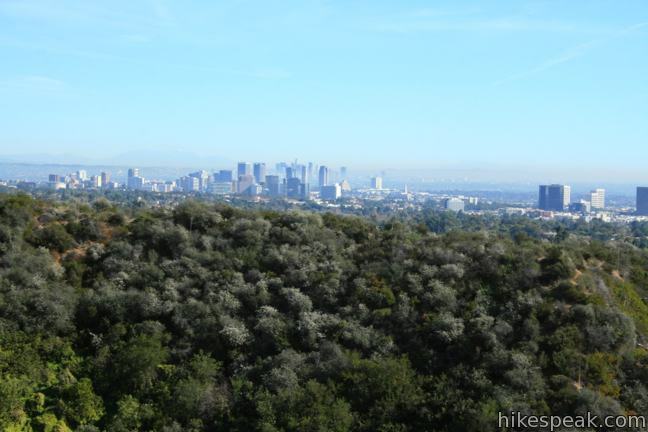 Century City rises above the cityscape to the southeast just in front of downtown Los Angeles. To the southwest, the ocean curls around Santa Monica Bay. 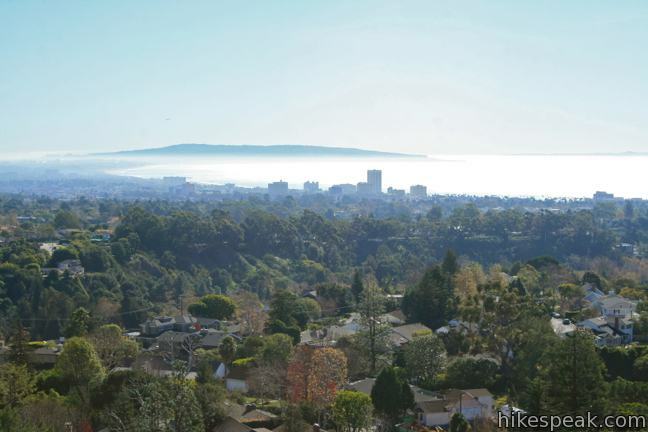 There are nice view to the north as well, toward the Santa Monica Mountains capped by the 2,126-foot Temescal Peak. On this hike, inspiration is reached in less than a mile. Continue the loop by heading back down to the trail split. 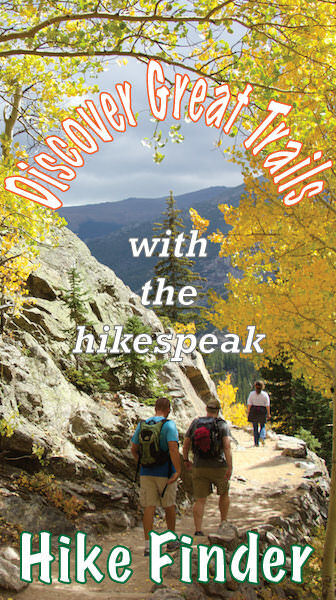 Hike north a couple hundred feet to a well displayed park trail map. The Backbone Trail breaks off to the left, while the loop continues to the right. 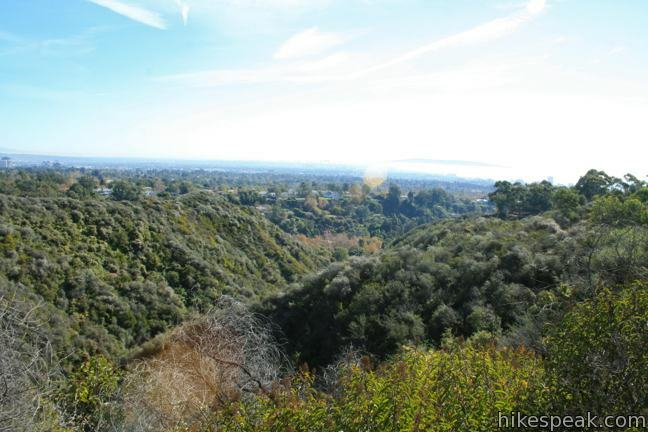 To extend this hike, consider trekking a mile up the Backbone Trail, gaining another 400 feet to a peak that offers an even loftier view. Beyond the trail map, Inspiration Point Loop Trail heads east. 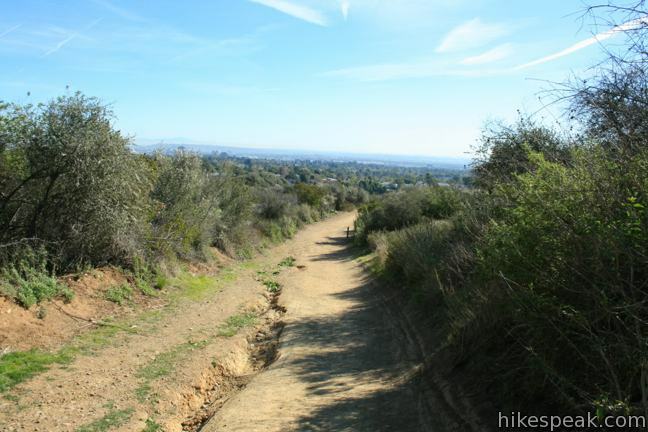 Hike straight through a junction with a service road heading down to Will Rogers Ranch (unless you want to turn here and cut things off early), and proceed to the eastern edge of the loop. 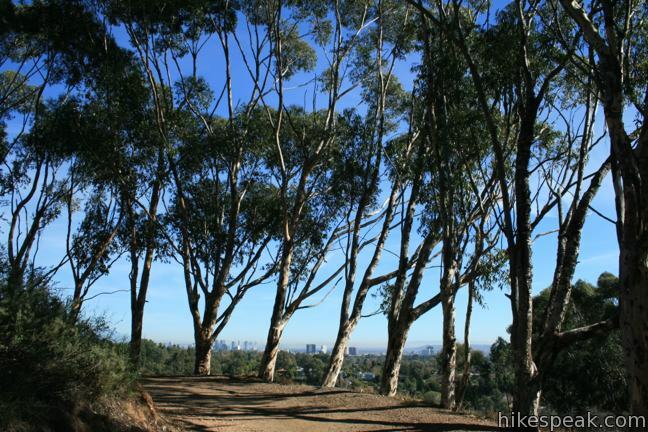 Spot mansions at the top of Sullivan Ridge to the east as you reach a line of eucalyptus bordering the trail. This is the first real shade along the loop, which provides a charming canopy for the remainder of the hike. Progress 0.4 miles down the hillside to the bottom of the trail next to a large green lawn (that is actually a golf course). 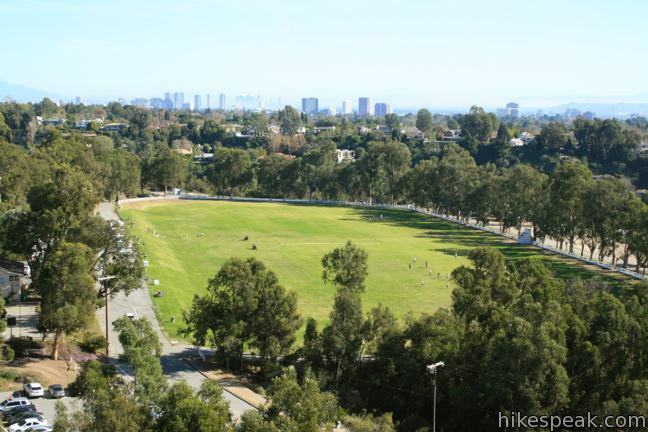 This is an great place for a picnic and a game of catch. Follow the trail along the top of the field and behind the Will Rogers House to complete the loop and return to your vehicle. Can I bring my dog? The sign at the start of the hike states that dogs are not allowed on park trails, but at the other end of Inspiration Point Loop Trail (next to the lawn), the trail sign says that dogs are allowed on leash. 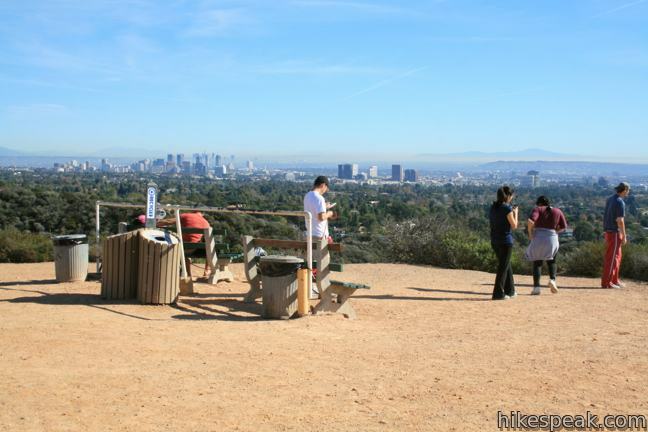 The park brochure declares that dogs are not allowed on the Backbone Trail but does not mention the trails to Inspiration Point. Because the dog rule seems murky and dogs are generally not allowed on trails in state parks in the Santa Monica Mountains, it may be best to leave your canine at home or check with a ranger before setting out. The entrance fee for Will Rogers State Historic Park is $12 (as of 2017). There is limited free roadside parking just outside the park entrance. The ranch house belonging to performer Will Rogers can be visited on guided tours, and there is a short film about his life playing on loop at the visitor center. 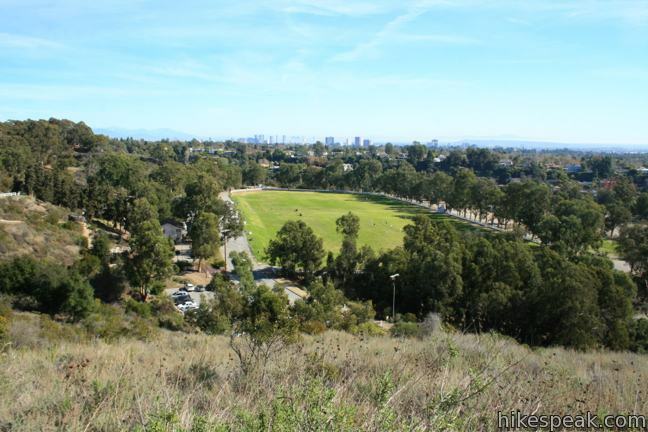 Just south of the home, you will find the only outdoor polo field in Los Angeles County. 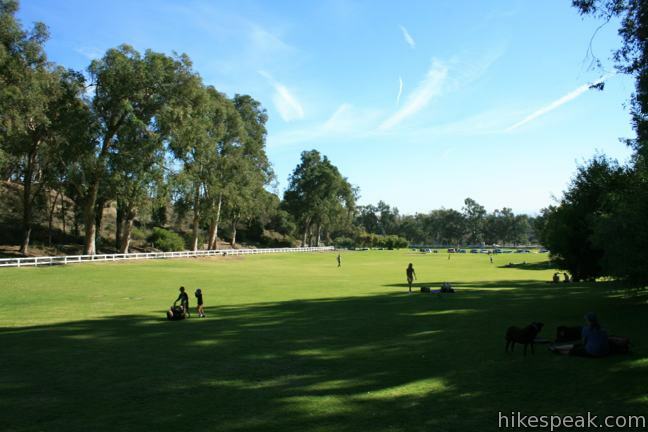 The park still functions as a ranch and there are stables tucked in the canyons above the lawn. Horse traffic on the trail is common and there is even a hitching post at Inspiration Point. 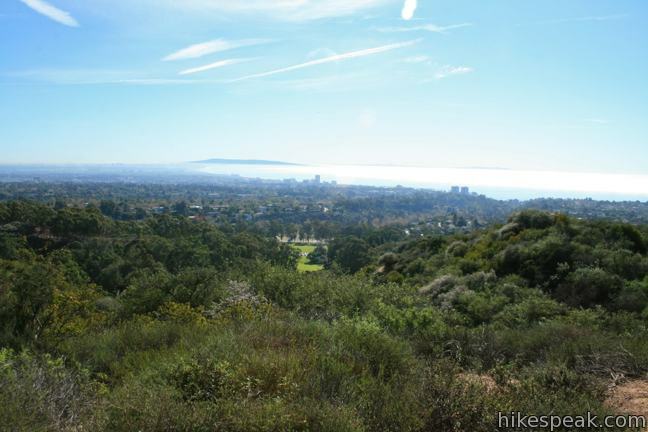 No permit is required to hike to Inspiration Point in Will Rogers State Historic Park, so get out and enjoy! 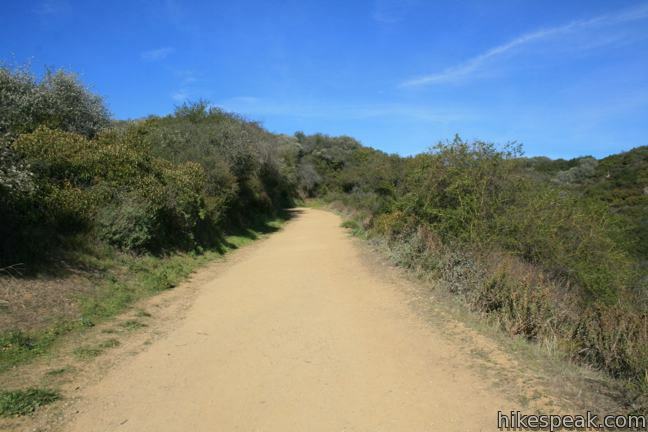 To get to the trailhead: Take Sunset Boulevard to Will Rogers State Park Road, located 4.5 miles west of the 405 and three miles east of PCH. At the light, turn north on Will Rogers State Park Road. Drive 3/4 of a mile up the mountainside to the park entrance. Pull past the gate and park in the lot on the left. These photos were taken in January of 2012. Click to enlarge. Wasn’t a scene from ‘Pretty Woman’ shot there? That is one of my favorite parks in CA. So pretty! 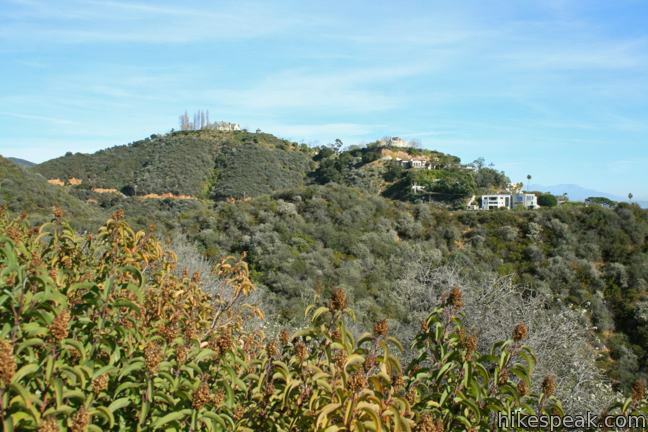 This hike is close to the city and a nice walk. 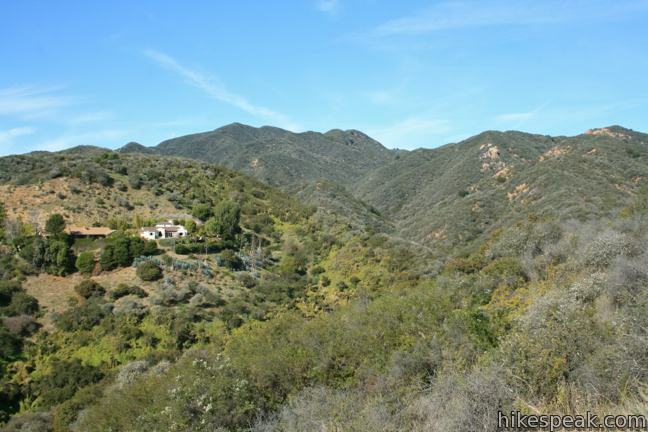 It is not particularly challenging with only about 350 feet of elevation gain, it’s more of a walk. It takes just under an hour to walk it comfortably. 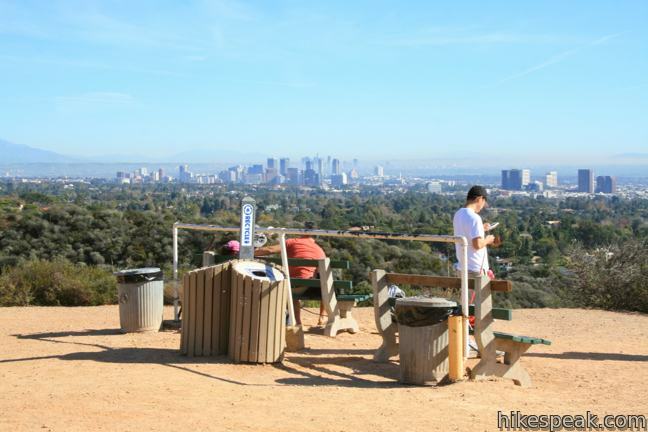 The views are pretty, mostly city views, with Santa Monica, Century City and downtown LA visible on clear days. The ocean is also visible on much of the walk. Ample parking, both in a lot and on the street. Neat historical house and horse stables nearby that you can visit. The best part of the trail was a beautiful tree-lined section on the descent (going clockwise). 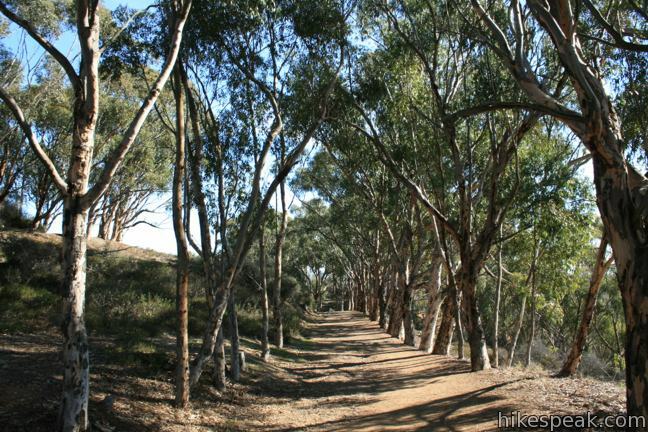 Beautiful old eucalyptus trees. Downsides: lots of horse poop on the trail, easy to sidestep but watch out! 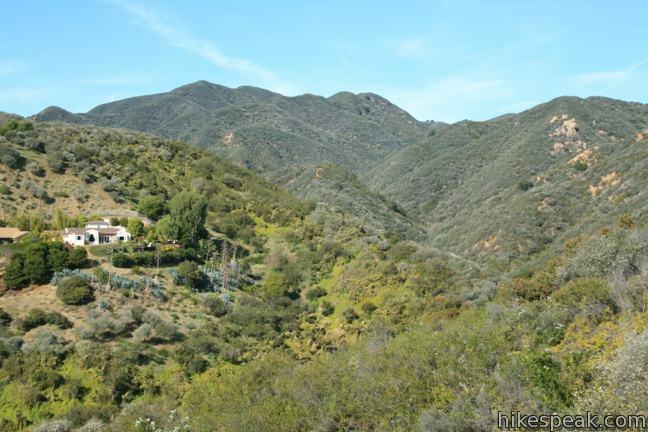 Also, if you are looking for an actual hike in the mountains to get away from people and urban life, this is probably not the best fit. Go deeper into the mountains.